This week marked an exciting development in the two-year-long push to deliver a new five-year farm bill. Both the House and the Senate have already passed their own versions of the bill; the remaining hurdle is to reconcile the two with each other in a way that will win approval both both bodies. 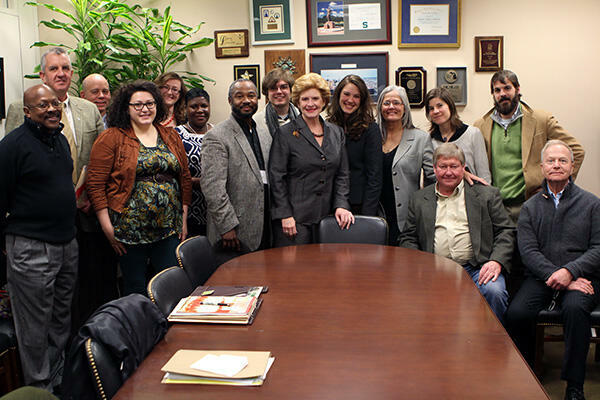 NYFC members joined other farmers earlier this year to speak with Senator Stabenow about what we need in the next farm bill. The conference committee, made up of 41 senators and representatives tasked with negotiating a unified bill, kicked into gear this week, moving us one step closer to a final bill. Our conclusion after watching the introductory speeches and following along on the start to the negotiations? With a difference of $35 billion in spending and many divides in agricultural policy between the two versions, we still have a lot of work ahead of us. All sides recognize the importance of the farm bill: it builds the economy, protects natural resources and keeps our nation fed. 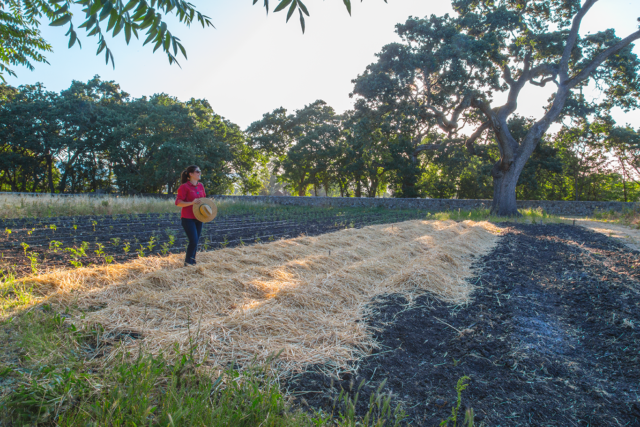 And it ensures that we’ll not only have a strong food system today, but long into the future. Both the House and the Senate the bills support the next generation of farmers and ranchers through programs like the Beginning Farmer and Rancher Development Program, FSA programs focused on first-time farmers and conservation programs that help to expand land access to younger farmers. There are some differences, however, and our goal is to make sure that the best portion of each version gets brought into the final bill. On these important matters, it’s nice to know that we’ve got some strong support. As the committee first started to take form earlier in October, a bi-partisan group of senators and representatives delivered two “Dear Colleague” letters to House and Senate leadership. The “Dear Colleague” is a standard way that legislators show support for certain programs, by circulating a letter detailing their position and calling for support. The beginning farmer letter was signed by dozens of legislators, thanks in part to the leadership of Representatives Jeff Fortenberry (R-NE), Chris Gibson (R-NY), and Chris Collins (R-NY) in the House and Senator Al Franken (D-MN) in the Senate. and adopting the Senate’s funding levels for the Conservation Reserve Program Transition Incentives Program of $50 million over the life of the farm bill – a program that incentivizes land being brought back into production from conservation to be leased to beginning farmers. 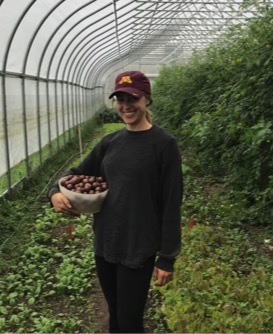 The “Dear Colleague” letter matched a letter that NYFC and 130 other coalitions and organizations from around the country delivered to Congress, urging them to support beginning farmer programs and policies.